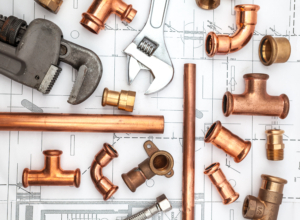 From repairing a dripping faucet, to a full bathroom or kitchen remodel, Winfrey Plumbing is the first (and last) place that you need to call for all of your plumbing needs. A slow flushing toilet or a clogged drain is a sign that your home is silently calling for help. Thankfully, Winfrey Plumbing is here to help. Our knowledgeable plumbing team will clean, repair or install a drain and sewage solution that lasts. You know you’re in hot water when the temperature of your shower turns cold. Luckily, restoring your home comfort is just a call away. Whether you are in need of a water heater repair, replacement, or maintenance service, Winfrey Plumbing’s team can bring hot water back to your home right away. Whether you’re a homeowner who’s over your head with a plumbing project, or a property manager who’s looking for a licensed contractor to handle the needs of your residents, Winfrey Plumbing, Inc. is the residential and commercial plumbing company that Nebraska residents can trust for all of their plumbing-related needs. Servicing the Omaha and Grand Island communities, we work endlessly to make your plumbing, remodeling, sewage, and water heater needs our priority. So, when you’re backed up with concern over your system’s reliability, turn to the team that can take care of all your plumbing needs.